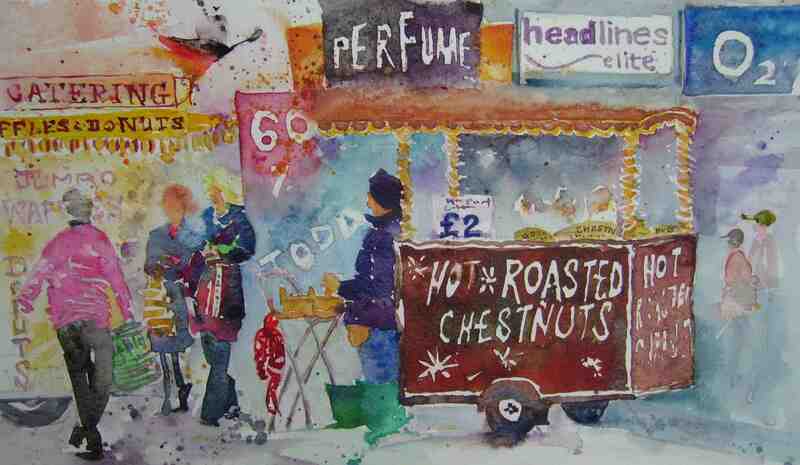 This entry was posted in Sheffield - watercolours and tagged Chestnut Seller, Continental Market, Fargate, Headlines, O2. Bookmark the permalink. 6 Responses to Hot Chestnuts……Waffles……..Fargate……………………. well, if you email me a photo or two sometime, I’ll give Oxford a whirl – no promises how it will turn out, but I like new challenges !